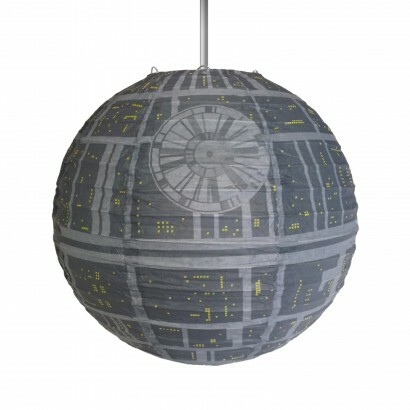 Turn your child's room into a galaxy far far away complete with it's own hanging Death Star! 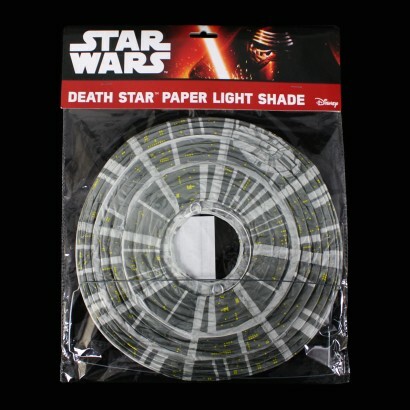 A concertina paper lantern lampshade with Star Wars Death Star design, this shade is the perfect finishing touch for Star Wars mad kid's rooms as their light becomes the iconic planet destroyer! 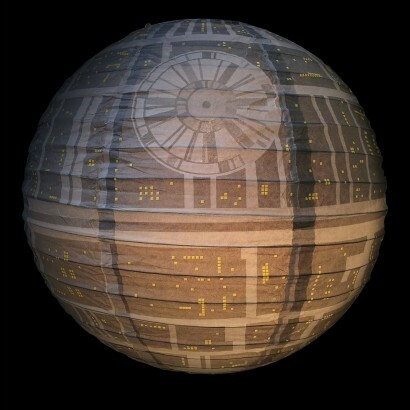 Turn your light fitting into the iconic planet destroyer! 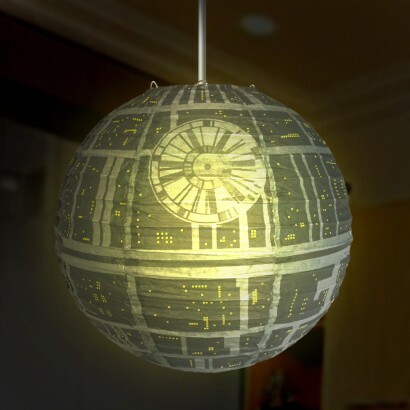 Got this for my grandsons bedroom,he loves it,unusual shade. Great product , looks fantastic in our sons room and he loves it .